container and freeze until firm (about 6-8 hours). 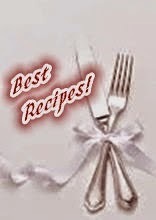 I'm joining Best Recipes for Everyone April 2015 Event Theme: Fun with Almond hosted by Fion of XuanHom's Mom and co-hosted by Doreen of My Little Favourite DIY. Jozelyn, I love mangoes but can't make ice cream cos can't tahan freeze until firm ... hee hee..